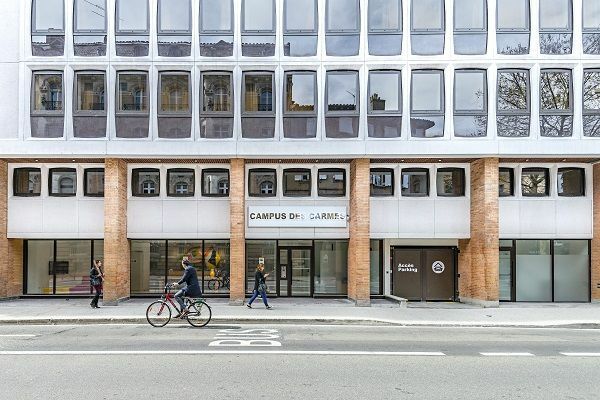 The Campus des Carmes residence has opened its doors in March 2016! 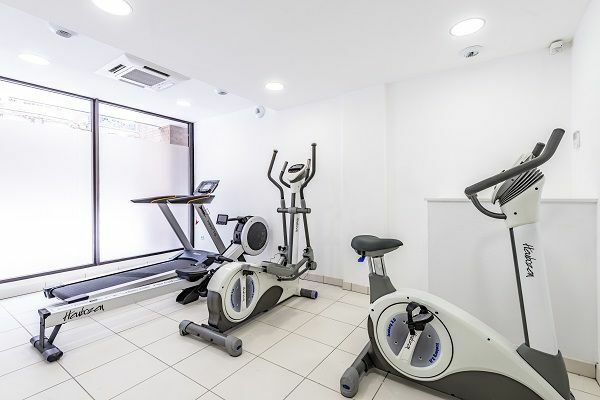 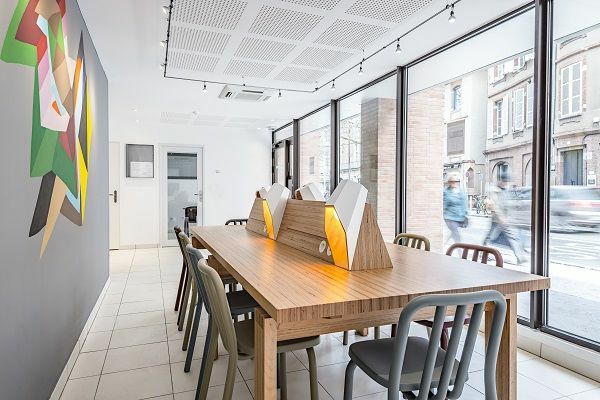 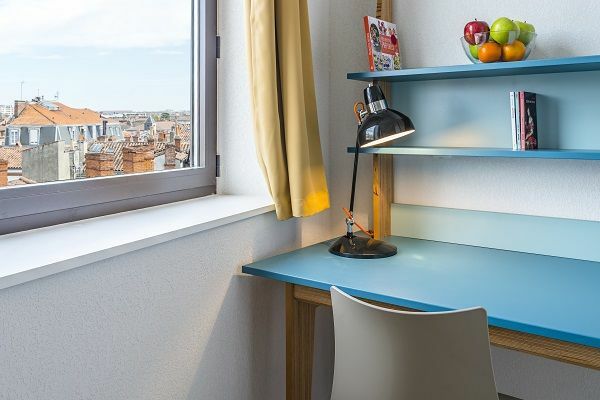 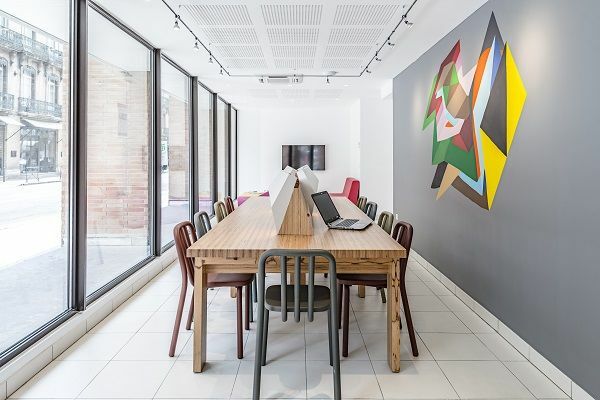 Its location is ideal in the heart of Toulouse and 50 metres from the Carmes metro station, which is a real advantage over other student residences. 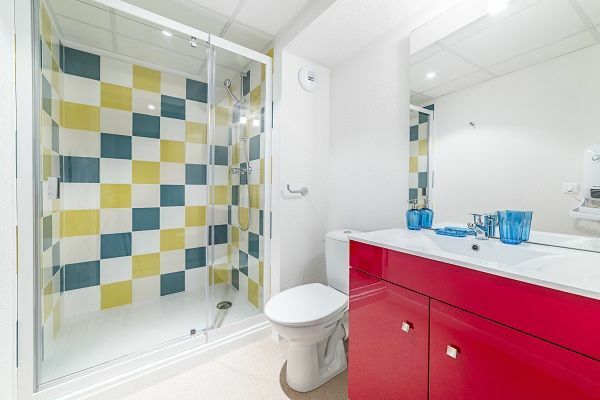 Its entrance is secured by an access badge and a videophone. 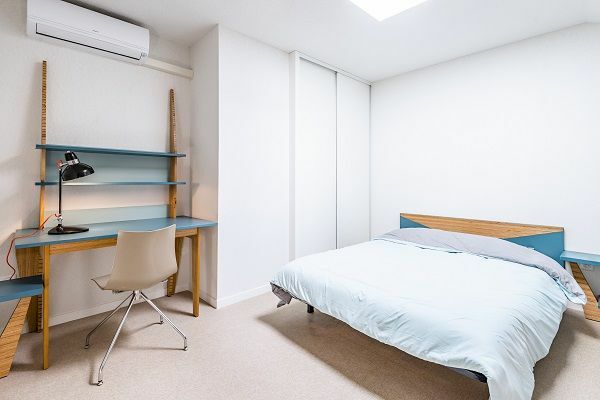 The apartments have modern and functional facilities: a living room with a bedroom area (bed), a fitted cupboard, an office area (with fibre) and a fully equipped kitchen area (ceramic glass cooktops, table top refrigerator, microwave / grill, hood, crockery kit included), a bathroom. 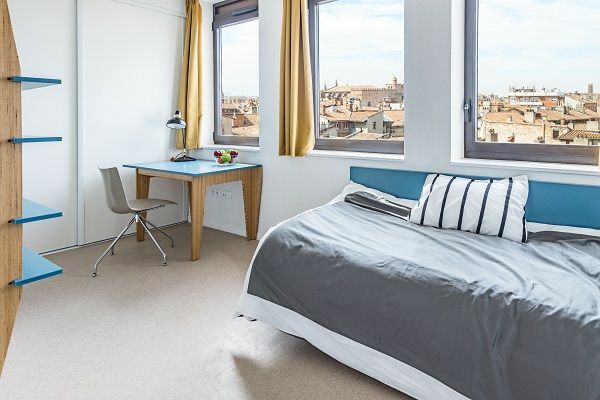 All apartments are equipped with aluminium joinery with double glazing. 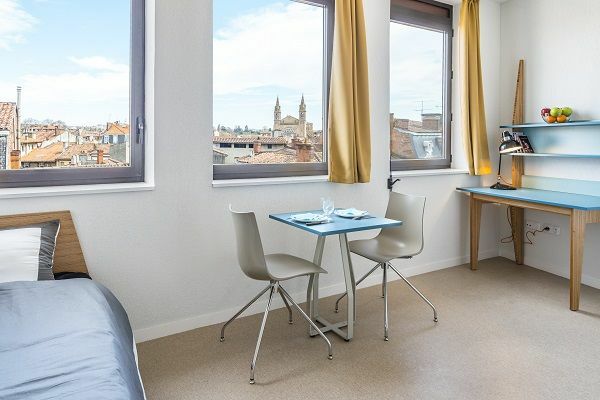 The apartments on the top floors enjoy a magnificent view of the historic district of Toulouse! 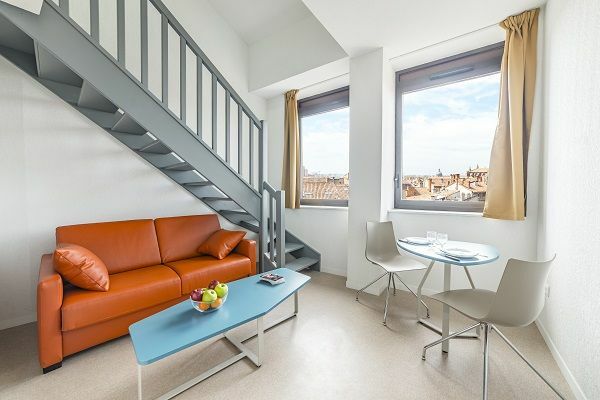 Its ideal location in the heart of the historic Carmes district is exceptional. 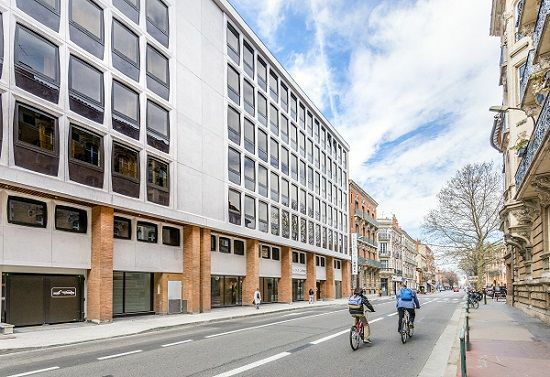 This side and famous district is indeed one of the oldest in Toulouse, created in the Middle Ages, it is known for its architectural charm with its private mansions, restaurants, bars and trendy shops.